Don’t buy expensive new cabinets. Instead of replacing, update the look with a cabinet makeover. 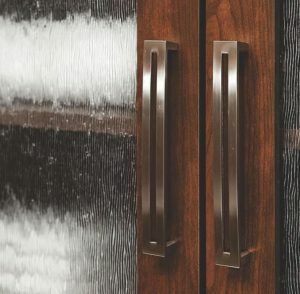 Decorative wire grilles or Architectural glass add a distinctive look to doors and cabinets. Simply cut out the middle of the door and replace with wire grilles or textured or colored glass. Use them together for an even greater design statement. Van Dyke’s offers one of the industry’s widest selections of wire grilles with over 50 styles available. Decorative wire grilles are manufactured from various gauges of steel wires that are custom crimped and woven to create unique designs. From wide to tight patterns, weaves, double, and more, we have a style to suit any application. 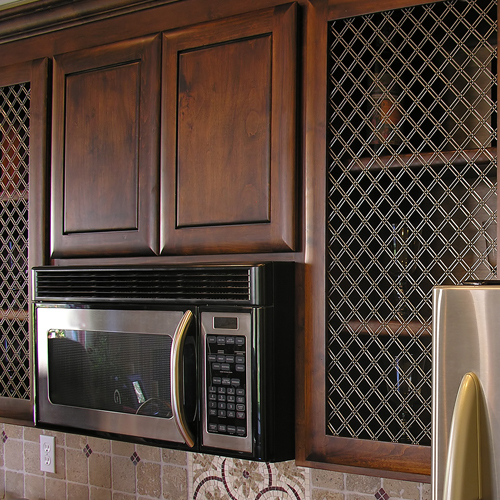 In addition to breaking up the pattern of kitchen cabinets, wire grilles are used in entertainment centers, wine racks, pantry doors, vanities and more. Not only are wire grilles visually pleasing, they are also allow air to flow for breatheability, this is particularly important for electronic components like stereos and television cabinets. You will find many creative uses for these versatile items. Place a wire grille in a box-style light shade to diffuse the light and add a unique design pattern in the light. 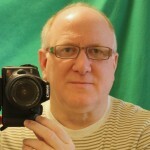 Photographers have used grids in soft boxes for years for creative lighting. With so many applications for wire grilles in high-humidity and weather-exposed environments, Van Dyke’s now offers several of the more popular designs in a type 304 stainless steel alloy. This moisture-resistant grilles is perfect for bathrooms, outdoor kitchens, boats, and other humid environments. 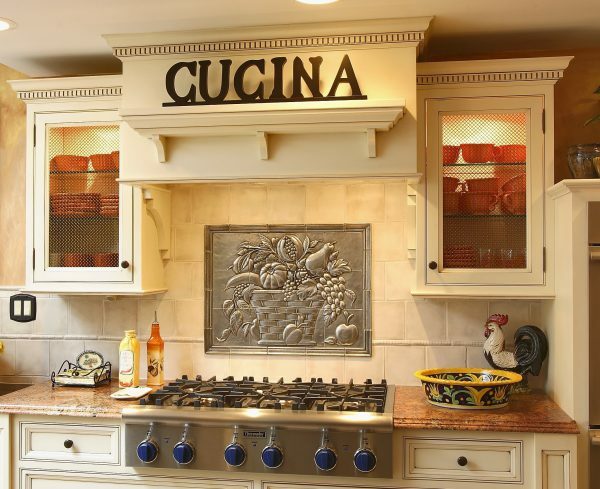 Architectural or textured glass, like wire grilles, gives a decorative touch to your cabinets and doors. Van Dyke’s now offers both tinted and textured glass in over 90 styles and patterns ranging from subdued to dramatic. Patterns include several frost-like designs, floral, ribbed, rippled, geometric patterns, and many more. Colored glass is available in shades of Amber, Green, Blue and Red. 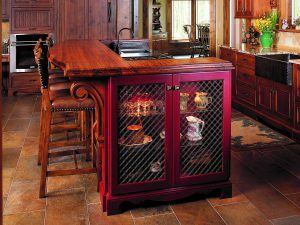 Similar to wire grilles, architectural (decorative) glass is commonly used in cabinets, hutches, wine racks, and entertainments centers. It is also used to make an artistic statement as a partition, a decorative kitchen backsplash, elegant glass shelving, and more. 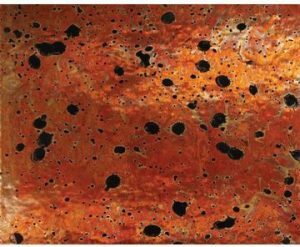 Van Dyke’s also has a number of patterns of copper sheets that will add a modern, earthy look to your projects. The sheets are made using an Earth burial process to create unique patina and color. They are available in four sizes and are .005 mil thick. Whether you decide on wire grilles, architectural (decorative) glass, or copper, your room will take on a beautiful new look. Each project is suitable for the DIYer as well as the professional builder or restorer.